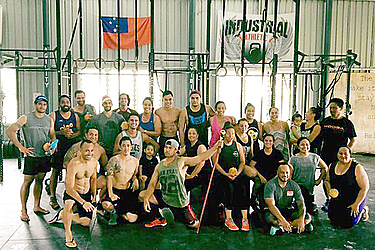 ONE LAST WOD: Members of the CrossFit FatuToa gym did a special Workout of the Day (WOD) yesterday to welcome Christmas 2016. They had to do the 12 Days of Christmas, one of the hardest workouts of the year. They want to wish Samoa a very Merry Christmas and a Happy New Year.